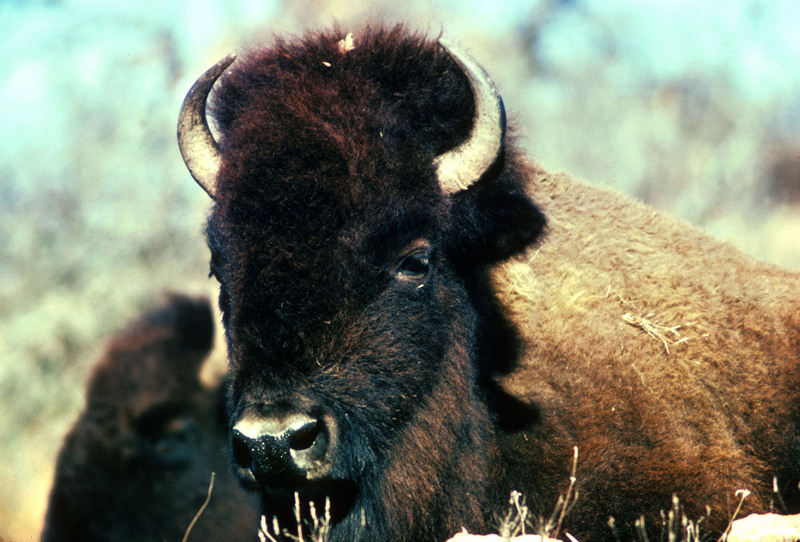 WASHINGTON – Arizona lawmakers this week proposed a simple solution to the problem of bison that are overgrazing and damaging the North Rim area of Grand Canyon National Park – hunting. The Grand Canyon Bison Management Act, introduced in both the House and Senate, would allow “skilled volunteers” to hunt bison in the hunting-free park and to keep their kill, which federal law normally prohibits. The bill would require that hunters have a valid Arizona hunting license in addition to any other qualifications the Interior Department decides to require after consulting with the Arizona Game and Fish Commission. But critics said that the National Park Service planning process should be allowed to play out, without interference from elected officials. 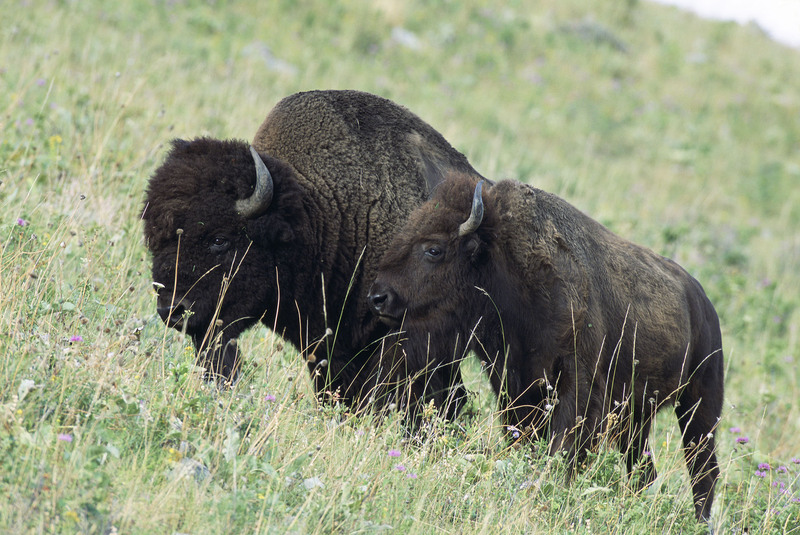 “The National Park Service is in the process of developing and implementing a plan to address the bison-hybrids in Grand Canyon National Park and the damage they are causing there,” said Sandy Bahr, director of the Grand Canyon chapter of the Sierra Club. “This bill short-circuits that process and is disrespectful of the all of the people who have been working on this issue for years and have put enormous amounts of time into promoting a plan that addresses removal of the bison-hybrids and protects the park’s resources,” Bahr said in an email. The bison damaging the park are not native to Arizona. They are the remnants of an experiment in the early part of the last century to create hybrid cattle-buffalo in Northern Arizona, according to a fact sheet from the Arizona Game and Fish Department. When the “cattalo” breeding experiment proved unsuccessful, the animals were sold to the state in the 1920s. Some of the animals were moved in 1950 to the House Rock wildlife area, but wildfires drove them out of the area, according to a Federal Register notice. It said those animals now roam the plateau of the Kaibab National Forest, giving them access to Grand Canyon National Park. 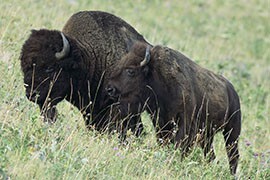 While the state manages the herd through hunts, bison that have wandered into the national park are protected. There are now 600 bison that have migrated from the forest into Grand Canyon National Park – and overstayed their welcome. The animals are damaging soils, vegetation, archaeological sites, springs and other water resources in the park, according to the National Parks Conservation Association. While it agrees that the hybrid buffalo are a problem, the association doesn’t think the bill and its “use of unsupervised amateur hunting” is the way to handle the problem. Bahr said the Sierra Club is “disappointed” that the lawmakers introduced the bill again. The National Park Service declined to comment on the bill, saying its policy is not to comment on legislation unless invited to testify before a congressional committee. The issue of bison roaming into Grand Canyon National Park and damaging the environment there is not a new one, as Cronkite News reported in this story that first aired in 2012. Bison, like those in this file photo from Montana, are causing environmental damage in the North Rim of the Grand Canyon National Park. Critics of the bill proposing a bison hunt plan said it "short-circuits" years of National Park Service planning on how to best manage the herd that is damaging Grand Canyon National Park.